The Huntsville Stars had an 11-game winning streak on the line playing Birmingham in May 1988. In this May 11 contest, Patrick Dietrick came up with a tie game. He soon hit a home run, according to The Associated Press, breaking the tie and sending his Stars to an eventual 9-4 victory, the team's 12 in a row. Patrick was in his fifth professional season that year, his second at AA Huntsville. But, while he moved to AAA Tacoma in 1989, he never could move on to the majors. Dietrick's professional career began in 1984, taken by the Athletics in the sixth round of the draft, out of Purdue University. He played his first season at short-season Medford, hitting .226, with four home runs and 26 stolen bases. Dietrick singled and scored in an early-August game. His third home run came in a late-August win. After the season, Dietrick was named the Northwest League's player with the best throwing arm. Dietrick moved to single-A Madison for 1985, but a shoulder injury helped limit him to just 51 games that year, according to The Modesto Bee. Dietrick made single-A Modesto in May 1986, picking up three hits in one early game. Dietrick, though, hit just .219 on the year, splitting time between Madison, Modesto and even getting a game at AAA Tacoma. He first made Huntsville in 1987, turning in a .204 average in 115 games. He then returned to Huntsville for 1988, improving his average to .256. 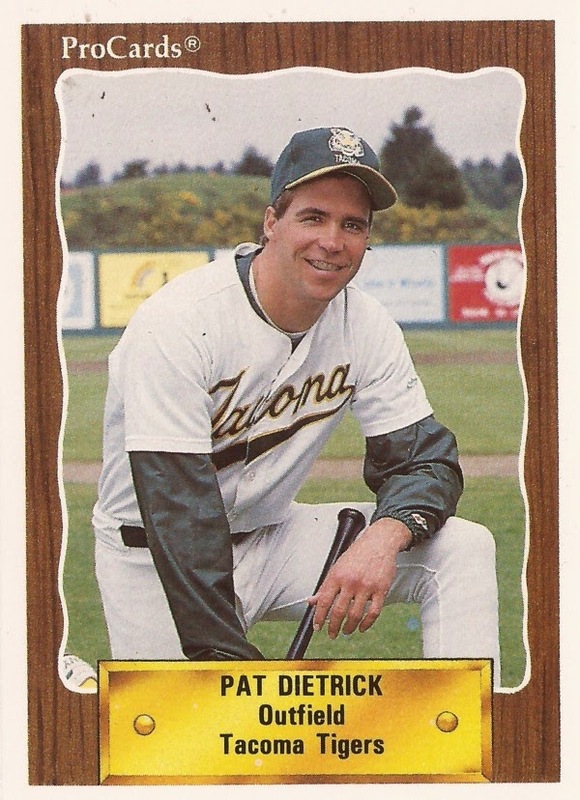 Dietrick moved to AAA Tacoma full time in 1989, hitting .256, with four home runs and 50 RBI. His career ended, though, in 1990 with 13 final games with Tacoma.